Below you will find the charges and types of Pujas which Priests can perform at the Temple or at your Home/Function. To schedule a Puja TO BE PERFORMED AT YOUR HOME OR AT THE TEMPLE, please contact Ramana Kanumalla at 267-396-PUJA (7852) Or send e-mail to priest@b-temple.org with details including a contact number. Additionally, requests for specific priests will only be confirmed by Ramana Kanumalla and not by the priests themselves. 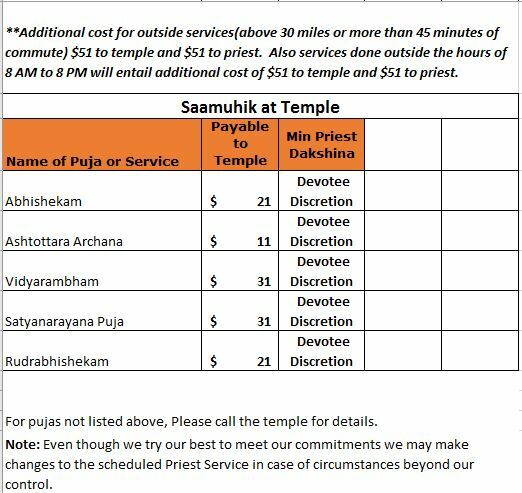 All services (except Archana, Abhishekam & Vehicle Pooja) must be scheduled in advance. All private pooja services are charged on an individual pooja basis (Havan not included). Overnight Stay per day – additional $201. 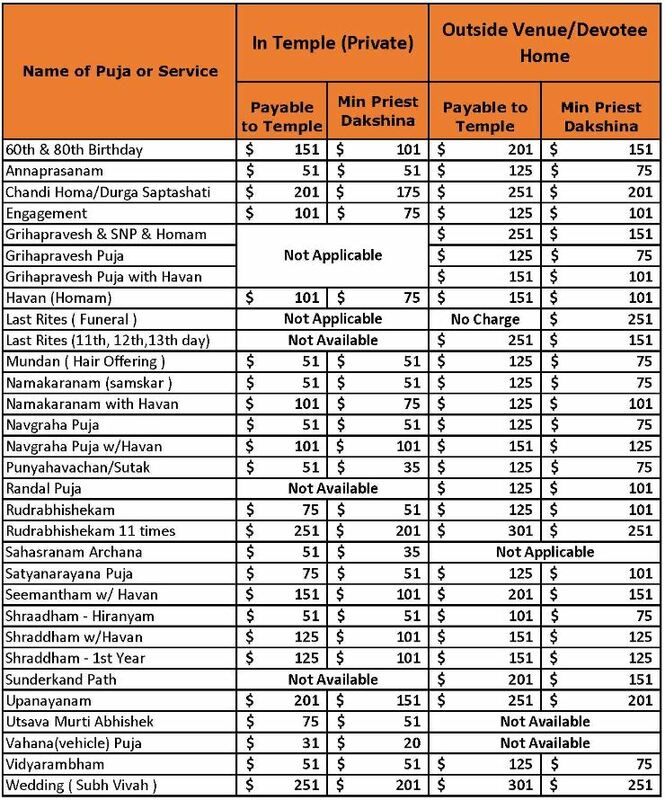 Mileage charges will apply for all outside pujas.